DETAILS: The East Coast Gang Investigator's Association New England Chapter invite you to join us for the 13th Annual Gang Conference. The Conference check-in will be held at the Radisson Hotel Providence Rhode Island Airport. Early Registration begins Monday, April 22, 2019 from 5:00 pm to 7:00 pm and Tuesday, April 23, 2019 until 12:00 pm. Conference is RESTRICTED TO CRIMINAL JUSTICE PERSONNEL ONLY. A valid form of government and agency photo identification MUST be presented at registration. Seating is limited to 300 Participants. 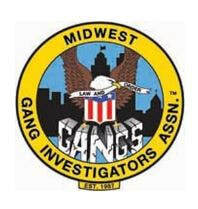 DETAILS: The Midwest Gang Investigator's Association invite you to join us for the 2019 National Training Conference. The Conference will be held at the Oasis Hotel and Conference Center. Registration begins Sunday, May 12, 2019 from 2:00 pm to 7:00 pm and Monday, May 13, 2019 from 7:00 am to 1:00 pm. Conference is RESTRICTED TO CRIMINAL JUSTICE PERSONNEL ONLY. A valid form of government and agency photo identification MUST be presented at registration. DETAILS: The Georgia Gang Investigator's Association invite you to join us for the 2019 Annual Gang Training Conference. The Conference will be held at the Savannah Marriott Riverfront. Registration begins Tuesday, July 9, 2019 from 7:30 am to 8:30 am. Conference is RESTRICTED TO CRIMINAL JUSTICE PERSONNEL ONLY. A valid form of government and agency photo identification MUST be presented at registration. ​Please visit https://www.ggia.net/events​ for full details. 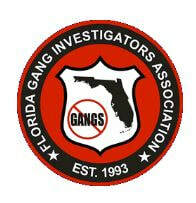 DETAILS: The Florida Gang Investigator's Association invite you to join us for the 26th Annual Gang Training Conference. The Conference will be held at the Sawgrass Marriott. FGIA will offer one (1) complimentary conference registration for every three (3) registrations per agency. This does not apply to Specialist Courses. To receive the workshop registration gift bags, attendees must be registered by June 15, 2019. Workshop registration gift bags apply to workshop attendees ONLY. Specialist Course attendees, solely, are not eligible for these items. DETAILS: The Tennessee Gang Investigator's Association invite you to join us for the 2019 Annual Gang Training Conference. The Conference will be held at the The Inn at Opryland. Conference is RESTRICTED TO CRIMINAL JUSTICE PERSONNEL ONLY. A valid form of government and agency photo identification MUST be presented at registration. ​​Please visit https://tngia.wordpress.com/2019/03/11/2019-gang-conference/​​ for full details. for full details. Conference begins Monday, November 18, 2019 at 1:00 pm. Conference is RESTRICTED TO Sworn members of the Justice Community. This includes police, corrections, border services, special constables, analysts, crowns, military and staff involved in supports of the analysis, enforcement and prosecutions of criminal offenses. A valid form of government and agency photo identification MUST be presented at registration. ​Please visit https://www.ongia.org/postconference​​ for full details.